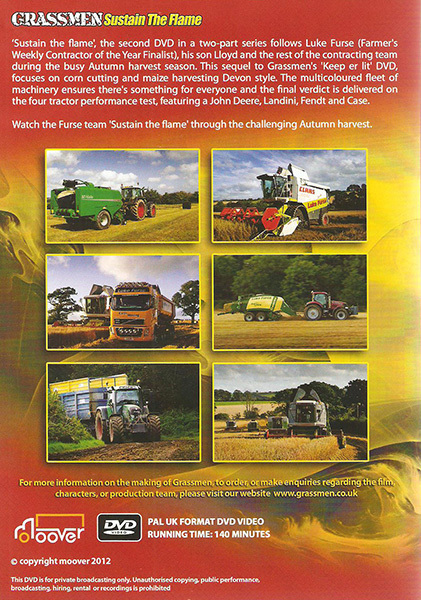 The Grassmen Part 2 – “Sustain the Flame” was launched at the Lamma Show on 16th January 2013. 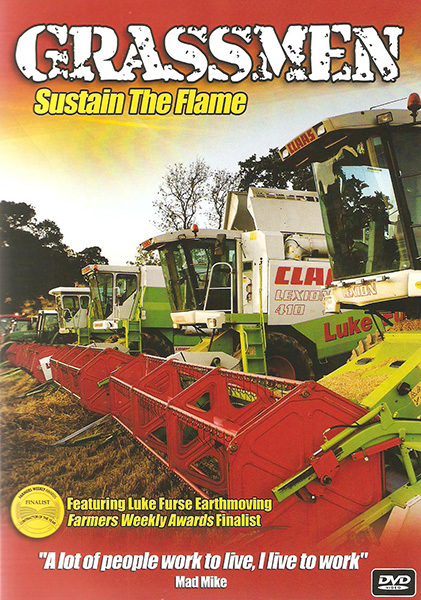 “Sustain the Flame” has now sold large volumes following the success of “Keep ’er Lit” with a varied work load through corn and maize harvest. The Grassmen – “Keep ’er Lit” DVD was launched at the National Ploughing Championships, Southern Ireland on 25th September 2012. 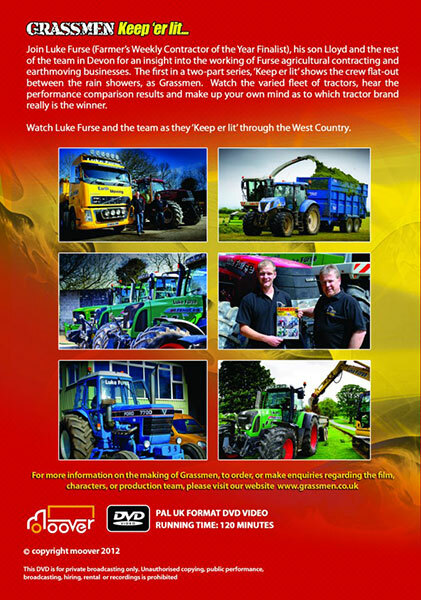 Join Luke Furse (Farmer’s Weekly Contractor of the Year Finalist), his son Lloyd and the rest of the team in Devon for an insight into the working of Furse agricultural contracting and earthmoving businesses. 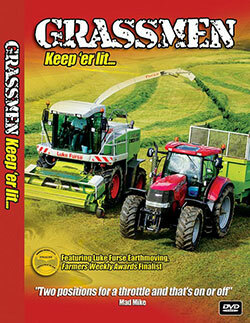 The first in a two-part series, “Keep ’er Lit” shows the crew flat-out between the rain showers, as Grassmen. Watch the varied fleet of tractors, hear the performance comparison results and make up your own mind as to which tractor brand really is the winner.